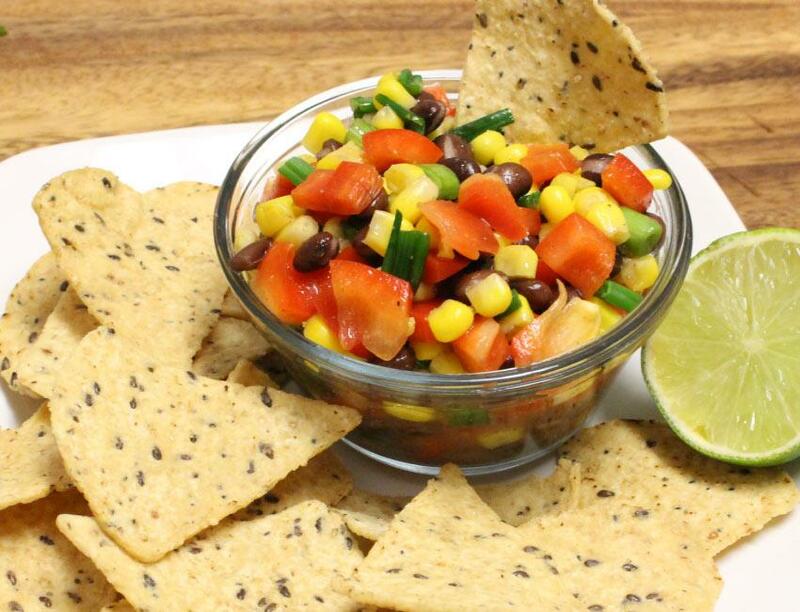 This Black Bean and Sweet Corn Salsa is the ultimate crowd pleaser and perfect for any party! Combine all ingredients in a bowl and enjoy with your favorite tortilla chips! Option: Add a spicy kick with some finely chopped serrano peppers.